High Potency Evening Repair combines Dr. Perricone's most effective anti-aging ingredients suspended in a proprietary delivery system to impart instant and long-lasting anti-aging benefits. With continued use, skin will appear smooth, luminous, healthy and more youthful. Helps to firm skin while preventing dehydration. 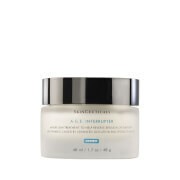 Diminishes the appearance of large pores and other surface imperfections. Helps to brighten up dull skin. 100% noticed an improvement in skin tone and texture. 97% reported their skin appeared more radiant. 93% reported improved skin firmness. Apply in the evening to entire face and neck in gentle, circular motions. Aqua (Water), Isododecane, Caprilyc/Capric Triglycerides, Cyclopentasiloxane, L-Tyrosine, Thioctic Acid (Alpha-Lipoic Acid), Dimethyl MEA (DMAE), Cyclohexasiloxane, Polyglyceryl-4 Isostearate, Cetyl PEG/PPG-10/1 Dimethicone, Hexyl Laurate, Sodium Chloride, Phenoxyethanol, Caprylyl Glycol, Hydroxyethylcellulose, Elaeis Guineensis (Palm) Oil, Retinol, Polysorbate 20, Tocotrienols, Pyridoxine HCl, Pantethine, Zinc Sulfate, Urea, Rhodiola Rosea Root Extract, Tocopherol, Sorbic Acid, Parfum (Fragrance), Benzyl Benzoate, Sodium Hyaluronate. After trying this generous 1oz. Sample, still using it as a little goes a long way...I purchased the full 2 oz. size which I have yet to open. I needed retinol in my skincare regime and this was just the right product! I never would have known that if it had not been for your generosity. I love shopping at your store. This is the perfect night cream, use a moisturizer after application. Smooth, lightweight, does not dry skin, you too will fall in love. I rate it 5 stars! I have used High Potency Evening Repair for a little over three years, and it is a great product. I apply it at night after using Cold Plasma and Acyl-Glutahaione. I follow with Neuropeptide Firming Moisturizer. I find these products make my skin firmer and wrinkles appear less visible.I am often told I do not look my age!! So, with the results I see, and the comments I receive, I will continue to use Dr. Perricone products! This is one of my favorite Perricone products. Goes on easy and is not greasy. I love this evening repair. My skin is tighter, less lines and smoother. My hyperpigmentation has improved as well! My skin breaks out from many products -never had an adverse reaction to this product. I have been using this for about 6 months, on my second bottle and will buy again. I highly recommend this! As a woman, I am in the constant battle of find the magic cure for aging skin and fine lines.I'm 40 and have minimal sun damage and melasma, & medium skin tone. I have found this to be a good night cream for absorption. I haven't noticed a dramatic change in fine lines, or reduction of melasma. However, I'm only 2 weeks into use and am hopeful based on other reviews. My new favorite retinol product. Does not irritate and makes your skin glow and look polished. I just switched over to cold plasma from my old main stay products and am really falling inlove with the Perricone MD line and quality products inside and outside packaging. I highly recommend this retinol product. Tough on wrinkles, gentle on skin! I've been using this as a nighttime treatement alternating with Perricone's Concentrated Restorative Cream (for blackheads) after applying Cold Plasma for about a year (I saw this recommended on the Perricone MD Facebook page). All I can say is I used to have expression lines on my forehead, now I don't. 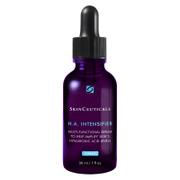 I'm positive this product is responsible for their disappearance, and I really like the fact that it does not irritate my sensitive skin like a lot of retinol products can. Only a tiny amount of product is needed, and the 2oz size is generous, which makes this much more affordable than it's pricetag initially lets on. Try it, you'll LOVE it!